Three to Get Ready Assortment has a little of everything! 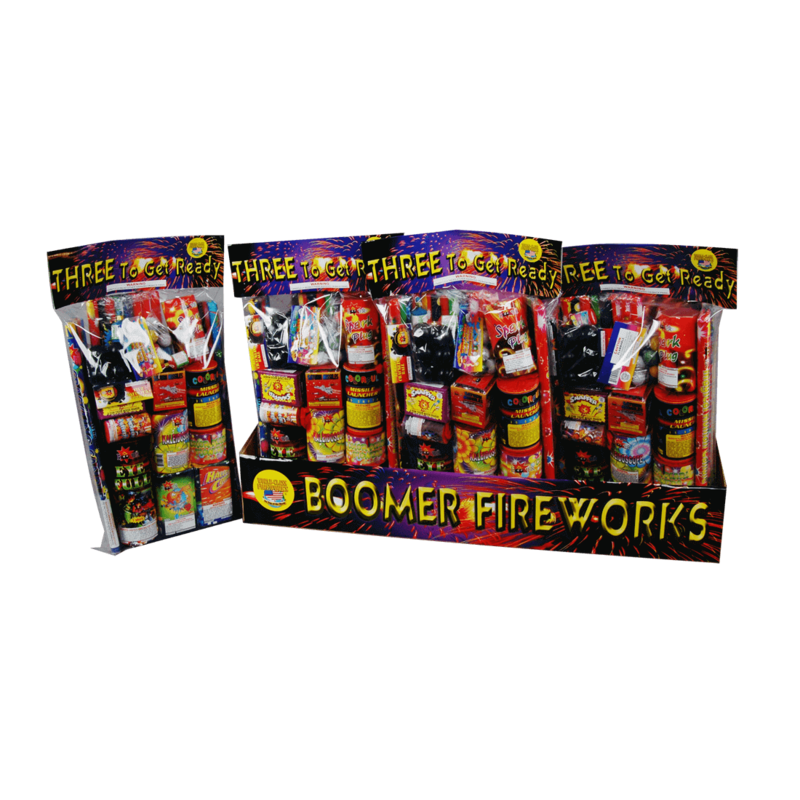 From novelty items like snaps and sparklers to roman candles and Saturn missile batteries, it will be sure to delight everyone at your party. It even includes some smaller aerial effect for a nice little finale.